Total investment fund industry assets hit NOK1.199trn (€125bn) in Norway in February, which was a new industry record - bouyed by rising markets globally since the start of the year. According to Verdipapirfondenes forening (VFF), the Norwegian Fund and Asset Managment Association, net savings by retail investors hit NOK1.1bn through the month, or which NOK441m went to equity and balanced funds, with some NOK623m put into different types of fixed income funds. This has taken retail investor investments into Norwegian securities funds to some NOK242bn (€25.1bn), VFF notes. An additional NOK812m was invested in funds via pension savings that allow fund selection. March decline in equity, mixed fund sales in Norway. Institutional investors put a net NOK3.9bn into funds over the month. Some NOK5.2bn was put into fixed income funds, while these investors withdrew NOK1.1bn on a net basis from equity funds. However, VFF noted that the figures for institutional investors have been affected by a number of institutions shifting assets into discretionary assets. Foreign investors were net sellers of Norwegian securities funds to the tune of NOK105m (€11m) in February. 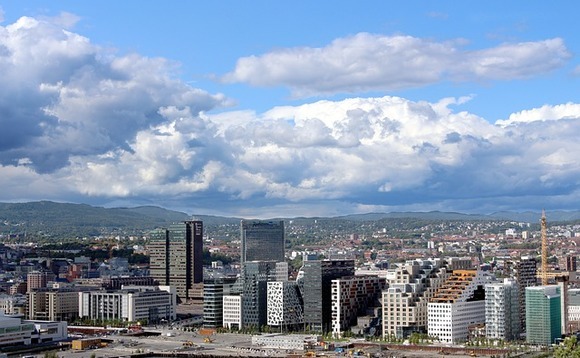 Despite the sales in the institutional market, total equity fund assets hit NOK615bn (€64bn), the highest level since August 2018, VFF noted. "Not only have Norwegians added new assets to funds so far this year, but they have also got solid returns on their money," said Bernt Zakariassen, VFF CEO.